The cap with earflaps is good for an early spring with chill in the air. It is a red/white/blue striped acrylic handmade cap. 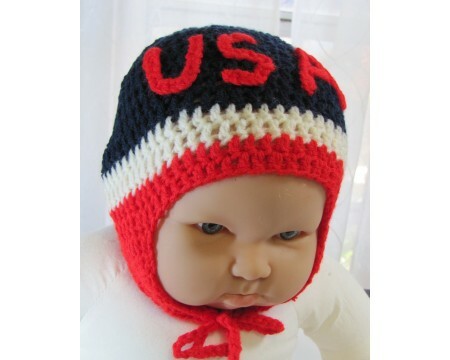 It measures 15" around unstretched and 6" from edge to top and 10" from earflap bottom to top. Fits a baby 9 - 18 months.